Chair: 28pcs/20GP container; 58pcs/40GP container; 68pcs/40HQ container. The aluminum material is durable, not only economical and practical but also provides a fashion look. 1.Â Materials: The column and base are constructed of lightweight aluminum material. 2.Quality: Is of high quality and scratch-resistant, corrosion-resistant and long-standing. Â Â and can be accepted by users for different using. Â Â restaurants, pubs, cafes, kitchens and dining areas. Wants to know more ?Just click the below pictures to see more designs! 2. 201/ 304 stainless steel for table top. 4. 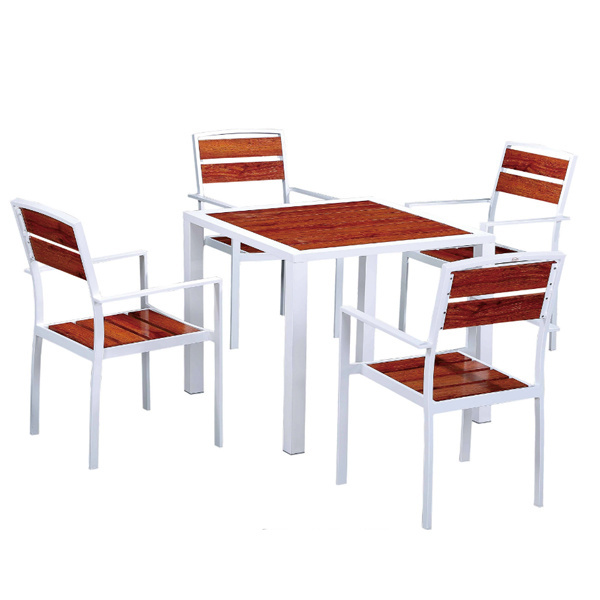 Poly wood for table and chair: All-weather, durable, uv-resistant, flexural strength. 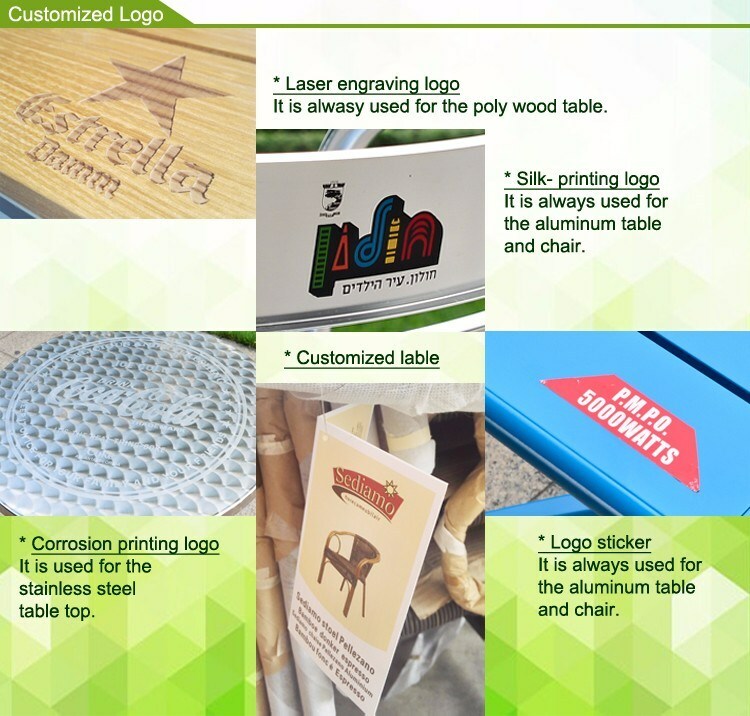 Wants to make your own logo?Â It is too much easy! There are four different logo styles. 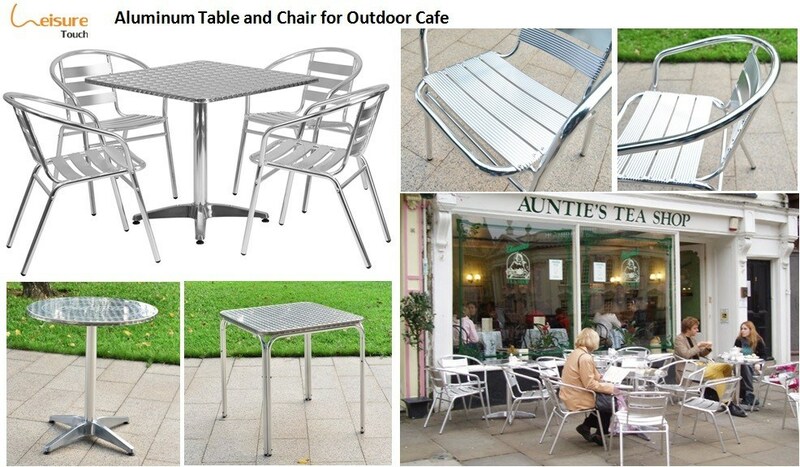 Wants to keep your aluminum table enduring? The usual maintenance is very important. The correct maintenance method can extend the service life of aluminum table. *Â Tip:Â Store furniture indoors during winter months to prevent additional weathering and staining. A: Regarding the aluminum, the actual thickness is in full accordance with its specifications which can be easily checked with a caliper. In addition, our grade is 6034 or 6063 which meets all technical requirements for outdoor furniture. Moreover, we use sufficient welding rod to connect each piece of aluminium. This is why we are so confident with our frame quality. 2.Â Q:Â Can I order one set for sample? 3. Q: How soon can I expect a sample to be ready ? A: Normally if we have stock of material, such as rattan and aluminum, it will be finished in 5-8 days. 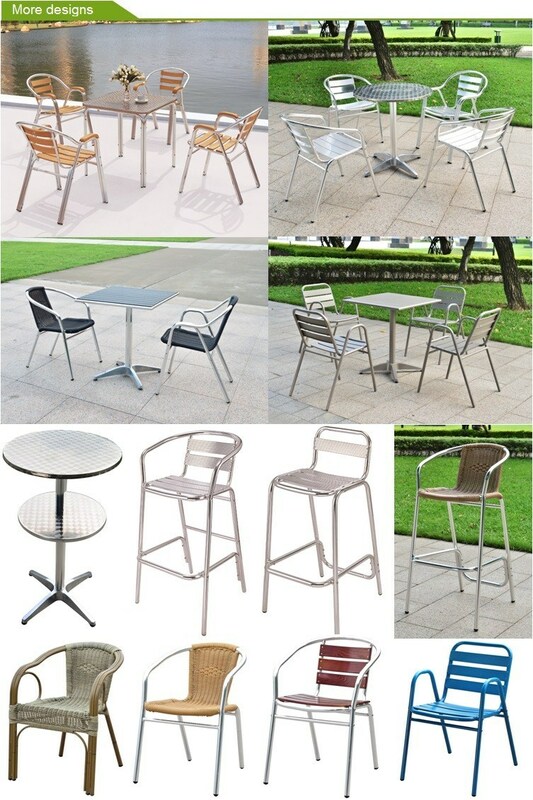 If customized rattan color or texture is required, and model is special, it will be about 20-25 days. 4.Â Q:How long will my order take to get delivered? 5.Â Q:Â What is the warranty? What's the life of the PE rattan? A: The default rattan warranty is 1 years. If you need a customization on the warranty. we can make 2-5 years as per your requirements. 6.Â Q.Â Can I have my own logo or label on the chairs ? 7. Q:Can I place an order through Alibaba with the Trade Assurance? 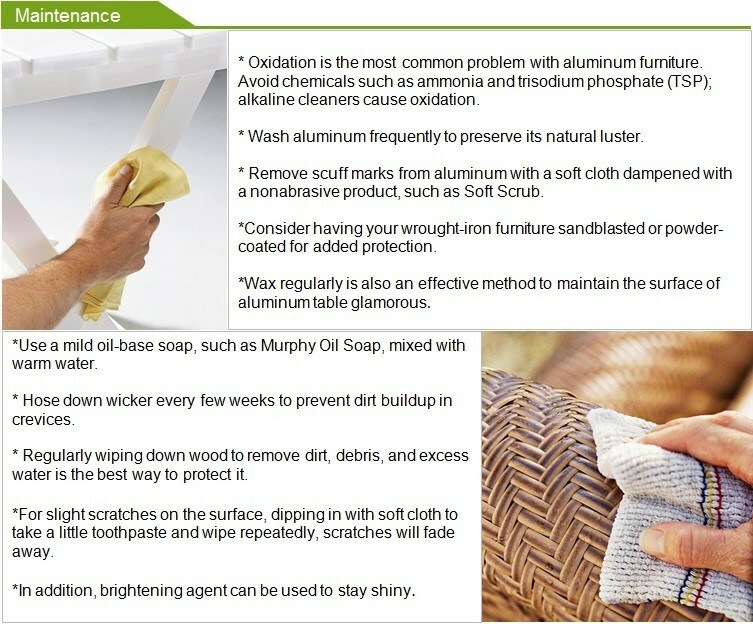 * 100% Product quality protection. * 100% On-time shipment protectin.